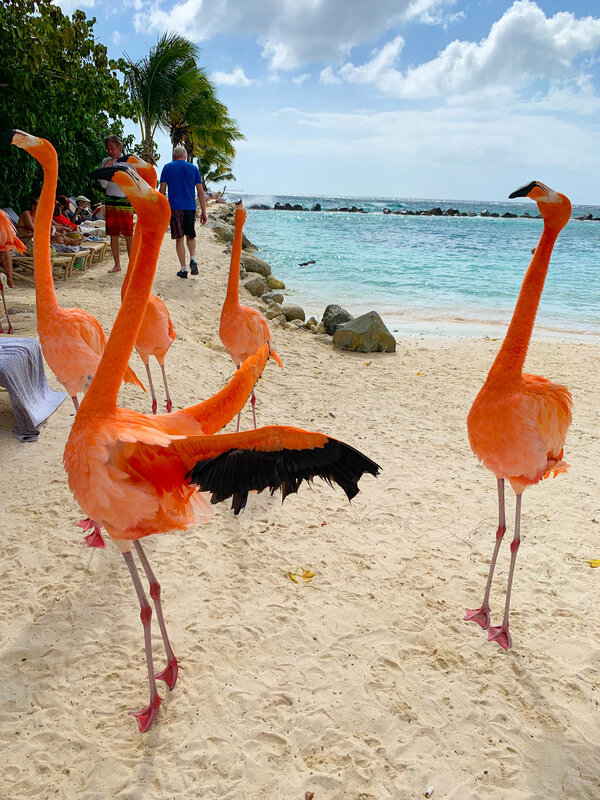 Find the best rate to visit these flamingos by booking your room through Booking.com Not only will you find the best rate out there but by clicking this link and booking a night, I receive a commission at no additional cost to you! PLEASE support our blog and bookmark this link! :-) Thanks! 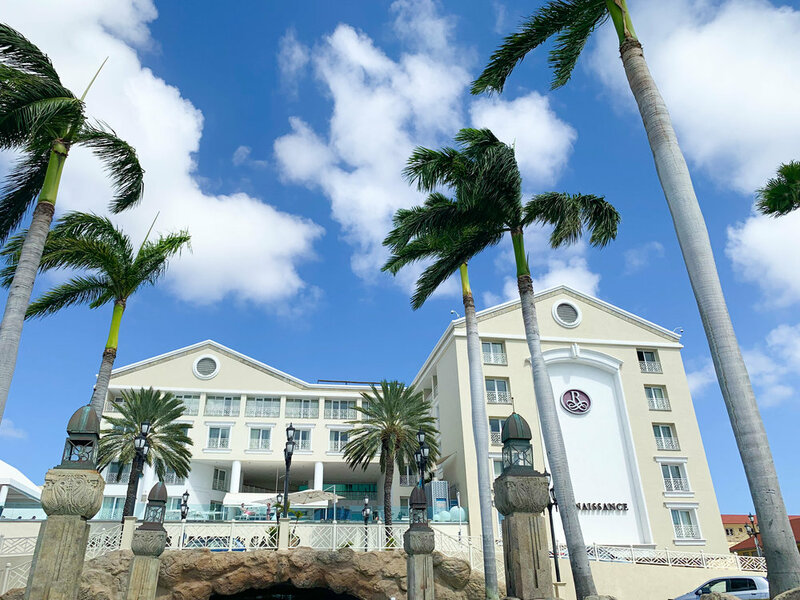 There are 2 hotels at the Renaissance property, both right across from each other. The adults only hotel is more inland but still in the marina. It’s also connected to a very fancy, high end mall and casino! The Renaissance owns a small island just a quick 10 minute boat ride away that they have named Renaissance Island. 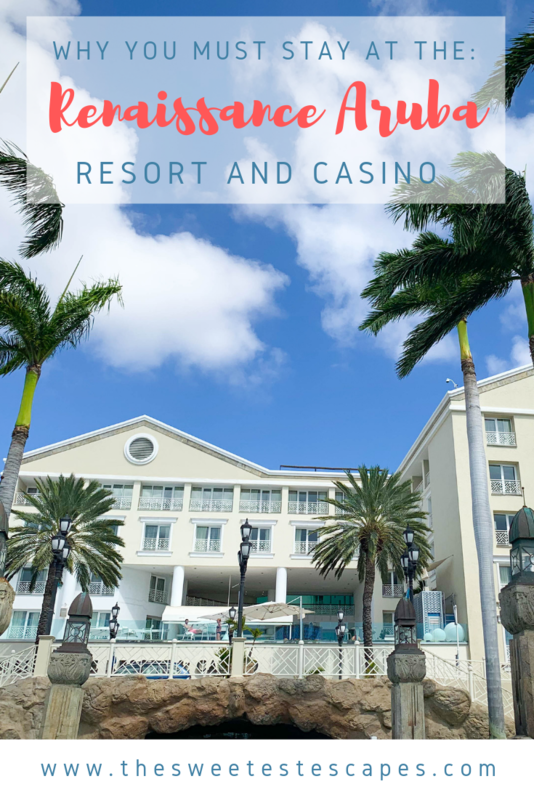 Booking your stay at the Renaissance guarantees you access to the island, there is a small chance you can buy a ticket the morning of, but there are very few if the hotel is not sold out. 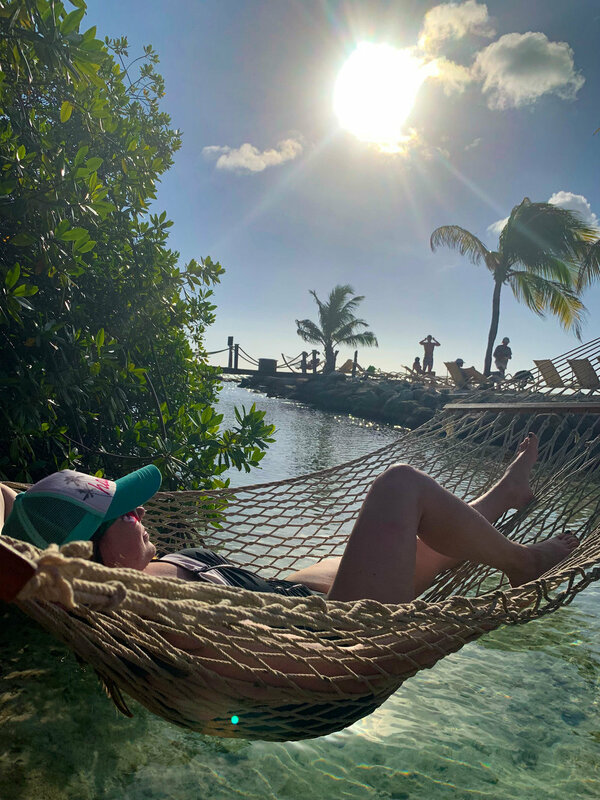 Here, you will find beautiful beaches with lounge chairs, a restaurant, hammocks, and FLAMINGOS. A boat stops every 15 mins in the lobby to head to Renaissance Island. 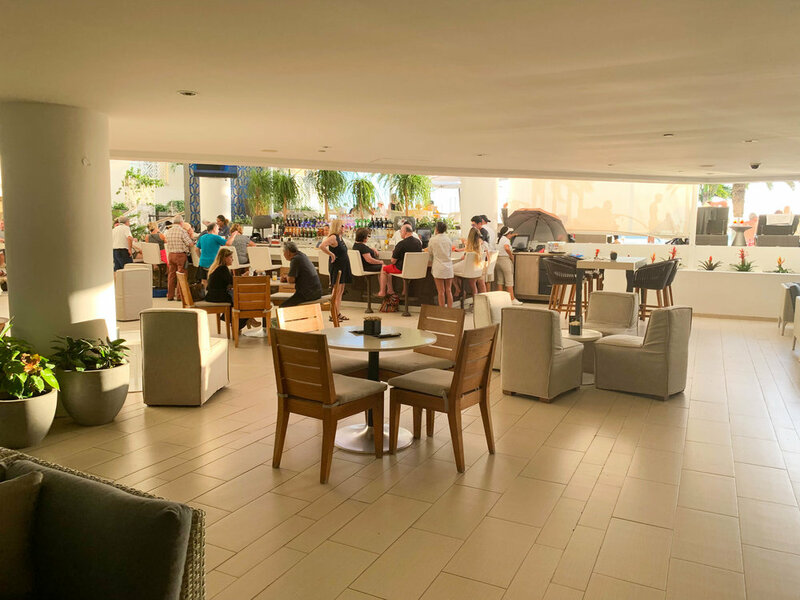 The lobby was open air and the bar was located right next to the pool. Check-in was a breeze. Literally. The staff was really nice and when our room wasn’t ready, they stored our bags and we were allowed to go to the island. Our room was a decent size. We booked a Guest room, 1 King or 2 Double, Limited view in the Marina Hotel. The design was fairly modern and looked like they had been renovated fairly recently. The little booth was cute but not very comfortable. Our limited view was an inside view and we were located right above Starbucks. The most exciting thing that happened out the window: watching people board the boats for Renaissance Island. The closet was small, our suitcases didn’t fit inside. The robes were nice, though! The bathroom was on the smaller side compared the Hyatt we had just stayed at, but was perfect for spending 24 hours there. SO many towels. The adult pool was so quiet and relaxing. With ocean and marina views, why would you ever want to leave! The lobby bar and the pool bar are one in the same. I love how open and bright the bar area is! 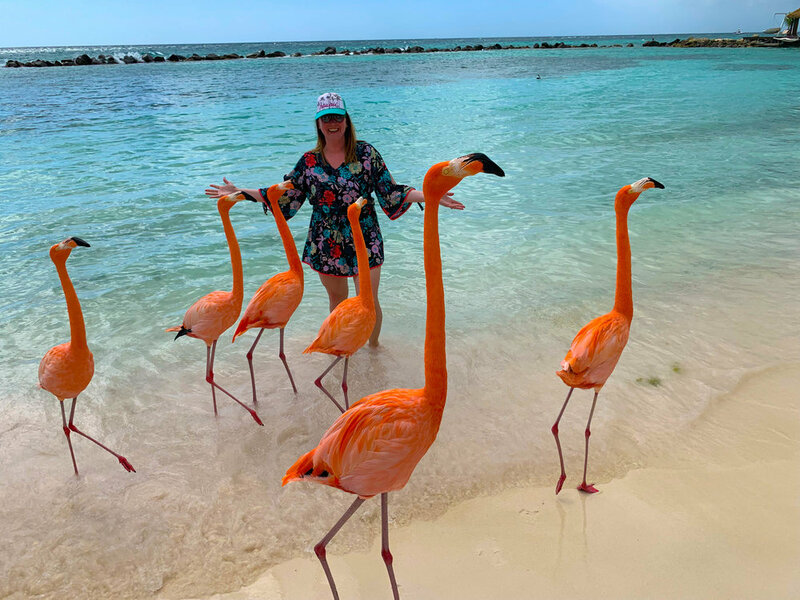 We basically paid $400 to see Flamingos, but they were worth every penny!